Your eyes are the central focal point of human expression. They’re the first features that people notice when they look at you. The radiance and beauty of the face derives from eye color, eye luster, underlying symmetries, and the eyelids and the brows themselves. Nowhere are the changes associated with aging more apparent than around the eyes. In the late 30s, wrinkles start to appear. In the 40s, facial tissues including the cheek and brow begin to sag and the face loses its heart shape, becoming more pear-shaped. The eyes appear hollow. Sags and bags appear. These changes accelerate into the 50s, 60s and beyond. Discover the new, natural you. At W Cosmetic Surgery®, we feel that it is never too late to rejuvenate your eyes. The results can be rewarding in terms of your confidence and the reactions from others. Located just minutes from Philadelphia, W Cosmetic Surgery is the practice of Dr. Allan Wulc known world-wide for his expertise in eyelid surgery. As a board-certified ophthalmologist with specialization in facial cosmetic and plastic surgery, Dr. Wulc restores and rejuvenates the eye area, returning the eyes to the focal point of human beauty and expression. He has performed thousands of upper and lower eyelid surgeries (blepharoplasty surgeries) and brow lifts, and he has extensive experience in both reconstructive and cosmetic surgery of the eyes and face. Your eyelid surgery procedure. What to expect. Every patient is different, and we highly recommend scheduling a consultation to determine the right type of eyelid surgery and treatment for you. Dr. Allan Wulc and his team offer several eyelid procedures to address your unique needs and goals. As we age, the skin around the upper and lower eyelids can become loose and baggy. This can often be treated by removing excess skin and sculpting with fat or fillers to diminish and smooth wrinkles. Patients who have sagging skin around the eyelids may be good candidates for a blepharoplasty. 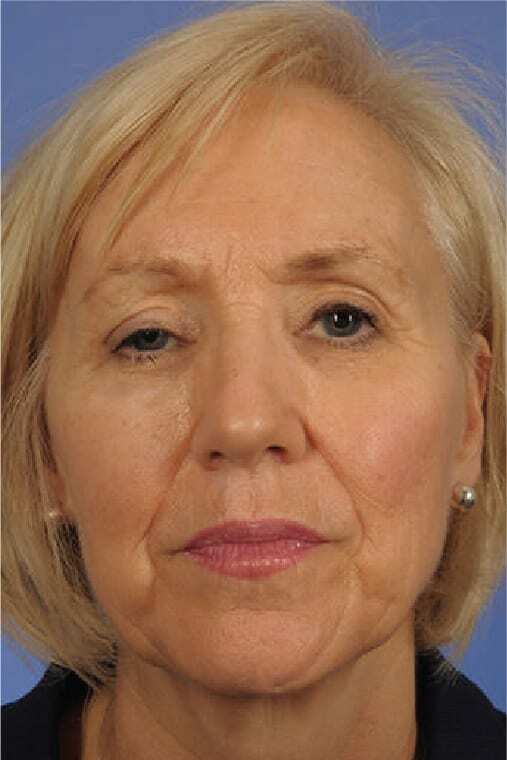 Droopy upper eyelids can be due to changes in the muscles that lift the eyelids, neurologic issues, or excessive skin. It can be something a patient was born with, a result of trauma, or prior eyelid surgery. Eyelid surgery to repair ptosis not only improves your appearance, it can cure or prevent eye and vision complications that are caused by drooping eyelids. Droops, scars, funny ripples, dimples, lumps or asymmetries are all common ailments that bring patients into our office. But these problems don’t have to be permanent. Severe under-eye bags that are caused by fatty deposits or fluid under the eyelid can create depressions and bulges. Typical surgical procedures, which include blepharoplasty, liposuctions and injections, are not always successful in treating festoons. However, even the most stubborn festoons can be treated with painless surgery. Thyroid eye disease—also known as Graves’ disease—afflicts patients, usually women and can result in blindness, blurry vision, double vision, or uncomfortable eyes. W Cosmetic Surgery is a leading practice in the correction and treatment of thyroid eye disease.